This is a bit hard to describe in words, and since I don’t have a micro-focus camera, you’ll have to use you imagination. When we mount a scope on any weapon, we assume that the mounting surface is perpendicular with respect to the vertical centerline of the weapon. This should be the case, whether we’re using a picatinny (Weaver) system or an 11 mm grooved receiver like those on the Benjamin Marauder, and a number of other airguns. We also assume the mounting rings, whatever type or brand, fit their designed mating surface just as perfectly. In fact, I’d bet few folks really pay too much attention, unless a problem arrises. It is not uncommon nowadays for scopes to be equipped with locating pins which fit into a recess in the (typically) front mounting ring (not to be confused with anti-recoil pins). If all of these pieces fit like they’re suppose to, about all that remains to be done is sighting in. Alas, that isn’t always the case. With both picatinny and 11 mm grooved receivers, we rely on the scope rings to mate perfectly with their respective mounting surfaces. If they do, then our case of (perpendicular with respect to the vertical centerline) holds true. But, if the rings don’t fit on the rail correctly, the scope will end up canted! My scope has an internal level, and a scope-mounted locating pin. Although the airgun was level (using the magazine gap floor in the receiver as a reference), the level in the scope was not, well, level! Turns out the mating of the scope rings with the 11 mm grooved receiver wasn’t perfect which canted the scope nearly 2 degrees! To fix the issue, I replaced the expensive rings ($65) with a pair from the scope manufacturer ($12), which fit snugly. 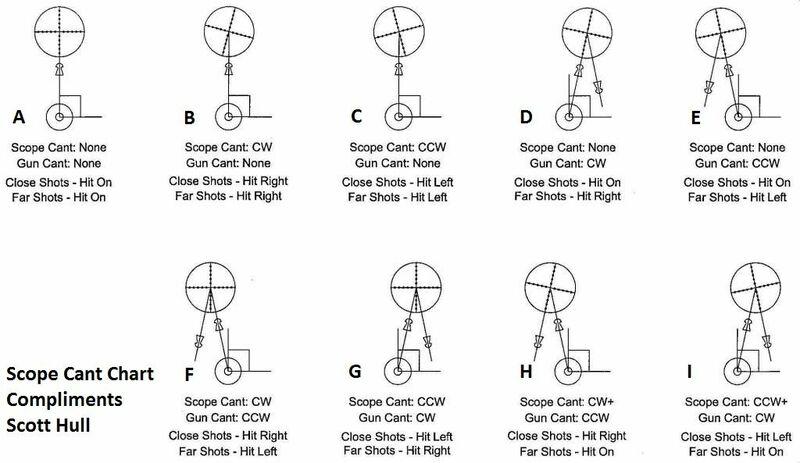 It should go without saying, that the absents of scope cant is an important step towards repeat accuracy with any weapon, including airguns.